Thank you for the post, I'll definitely get it. I do believe I need this. 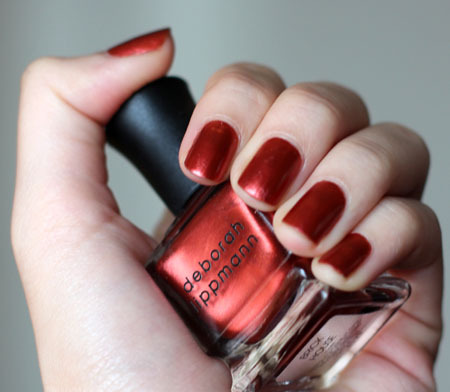 I've been on a MAD Deborah Lippmann spree lately and have amassed quite a collection in no time at all! This is a unique red! I like it. 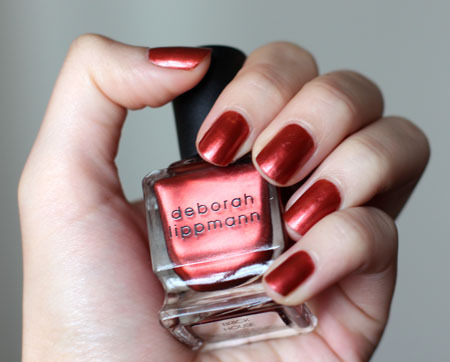 I'm hardly a nail fanatic, but Lippmann is my favorite brand of polish. The quality is just impeccable.